If You’re a Muslim Convert, Read This. Converting is no easy issue. After the takibirs, hugs, gifts and love, one still has to go home to a large non-Muslim family base. 100 lb. dogs, homies smoking blunts, holidays, clubs, x lovers, old friends, expectations of other Muslims, marriage, financial issues and a host of issues tower over the new convert. My idea is simple, wont take much of your time and, inshallah, if we’re sincere, can help serve our communities. What I need is your questions. My plan is to collect your questions, sit with 3-4, still unknown convert scholars fresh form overseas, research, answer and write a book providing answers that, inshallah, will support, build and encourage the new convert. Answers will be cross checked by other towering scholars in the Muslim world, published and, inshallah, serve you. This is the first in a series of books which we plan to write that will offer functionality to our communities. Future titles include: single parent mothers/fathers, sexuality, mothers, fathers, family,teens, high school, college, young professionals, retires [baby boomer Muslims], the arts, drugs and civic duty. Imagine a collection of fatwa written by local qualified muftis covering these topics! Now the dice are in your hand. So start asking! How to Perform Salah (Prayers)? QuranExplorer.com where you can Listen to the Quran Recitation and Translation online in Arabic, English, and Urdu. It is often difficult for new Muslims to differentiate between correct Islamic information, deliberate misinformation by the enemies of Islam, and information provided by deviant sects of misguided Muslims who have altered the true message of Islam to suit their own objectives. Relying on the Internet as the sole source for Islamic enlightenment is problematic, and can have an adverse effect on the knowledge seeker in the event that the information presented is not in accordance with the Quran and Sunnah of Prophet Muhammad (peace be upon him). For new Muslims especially, surfing the net for Islamic information can be extremely confusing, since it is often hard to differentiate between authentic Islamic knowledge and false knowledge mistakenly cloaked as Islamic. Great care must be exercised when using the power of the Internet as a tool for increasing your Islamic knowledge or when advising others. GainPeace, an outreach project of Islamic Circle of North America (ICNA), was initiated to share Islam with non-Muslim and to clarify many misconceptions they may hold due to biased reporting in the Media. To this effect, GainPeace has initiated a toll-free telephone line, 1-800-662-ISLAM, where anyone can call between 9:00 am – 9:00 pm, all week and ask questions, arrange for a visit to the Mosque, invite a Muslims speaker, request free Quran translation and Islamic Brochures in English and Spanish languages. Trained volunteers are available to receive calls and process all requests. GainPeace, has a series of speakers who are available to speak and discuss various topics related to spiritual and current issues. GainPeace display booths are also available upon request to various organization and events. These booths contain brochures on various topics, copies of the Quran in English and Spanish, audio CDs etc. • The prophet's approach to teaching new Muslims. • Shahadah taking and associated rites, including pronouncement, witnesses, and washing. • Washing / Shaving or saving / Circumcision / Tattoos, now what? Rulings pertaining to Transactions, interactions and customs. • Relations with the kin / My girl/boy friend / My child, is it mine? • Am I not getting anything from my parents? • Names, and when they need to be changed. Q: I am a new convert to Islam and have not told my family yet about my conversion. It is coming to summer and it is the busiest time for family parties like graduation parties, birthday parties, and family backyard barbeques. Since my family is non-Muslim, there are almost always alcoholic drinks and pork products involved. Of course, I do not want to eat or drink anything haram but I am wondering what should I do. I do not want to cut ties with my family. This site almost made it to a rating of 10. It has almost everything you could ask for in an Islaamic site viz. articles, e books, audio lectures, Qur’aanic Recitations, and even two online Magazines!! The site has a no-frills, plain, businesslike look. The main categories are easy to navigate to but for the subcategories no links are provided. You have to scroll down the page of the main category to find the sub categories. The site also hosts two online magazines (albeit old issues). It only loses out on the look of the site which the webmaster would do well to change keeping in pace with current trends. Best Feature: Feature packed site with audios, Qur'aan recitations (even some recitation by Shaikh Albanee!) issues of two online magazines and E books. What it lacks/ What could be added: It would be better if under each main category a list of sub categories (with links) is provided to facilitate navigation. Also such a good site should have an attractive look and the latest forms of multimedia content so as to catch the attention of casual visitors. And that's an accurate synopsis. A lot of effort has been put in by the site maintainers with the questions neatly sorted into categories and sub categories. It also has a site search facility. It contains in excess of 7000 Q&A!! Amazingly the site is available in 7 languages & the English translation is of high quality. What make this site truly worth visiting are the diligently provided references to almost all the Ahadeeth and opinions of the earlier and contemporary scholars. The site accepts questions on line once a month. Best feature: The huge compilation of Fataawa with an arrangement and search facility that makes it easy to find what you want. What it lacks/ What could be added: Voice Fataawa. Also the site owners should add a facility for downloading the fataawa base in an easy format. (See what fatwa-online.com has done as an e.g.) Otherwise as per the apparent aim and name of the site it fulfils the job perfectly. Best feature: The study program and a lot of translated works of Shaikh Uthaymeen from one of his own students. What it lacks/ What could be added: Books and lectures from more Scholars. This site is a treasure house of information on Islaam. It has an impressively large list of authors, and a good amount of lectures, although the number of speakers is relatively smaller. The site is fast and easy to navigate and gives you the option of navigating by category, topic, speaker or author. The articles put up on the site are surely a result of careful selection from a wide range of sources and includes authors from the past and present. What it lacks/ What could be added: Very few E books available. And the ones available are almost all by the same author. The webmaster would do well to strengthen this section and also add some multimedia content. Here's another good Fataawa site. It has an off-the-beaten-track design (though not very attractive), good lectures, fataawa and an innovative form of E books (Compiled HTML help files). Using this they compiled the entire translation of Dr. Muhammad Muhsin Khan (v 1.36) into 822 Kb which is very convenient to take on a floppy or mail it to someone etc. However they have removed it from their site and replaced it with version 2.2 which includes the Arabic text and footnotes (19.3 Mb). Also they compile their entire fatwa base in the same format at intervals and put it up for download, something I appreciate very much. Best Feature: The CHtml fataawa base, CHtml books, information boxes which come up on particular terms with mouse rollover (no need to click) and audio biographies of various contemporary Mashaayikh. What it lacks/ What could be added: Audio fataawa. Also the webmaster should increase the quantity of E books and introduce English audio lectures dealing with specific Islaamic topics other than biographies. For sheer variety of content format Islamway.com beats all other sites that we know of hands down. (Islamweb comes a close second) It has articles, E books, lectures & flash animations. It has the translation of the Holy Qur’aan in PDF with audio embedded in it!!! (the download didn’t work for me but maybe that's because I have a dial up connection) Not enough? It has the recitation of the entire Qur'aan in Arabic along with the English Translation (Saheeh International) ayah by ayah. All the aforementioned are for free download. Best Feature: the Downloadable audio translation of the Qur'aan and the PDF version with audio. For an accurate and honest description about this site and its aims I recommend going to their 'About Us' page. The site is exactly what it claims to be. Best Feature: Sleekly designed site with all forms of content. What it lacks/ What could be added: Advanced level articles and books on Aqeedah etc. for those already in Islaam. Best Feature: A solid collection of lectures by many speakers & Qur’aan translation in many languages. What it lacks/ What could be added: Articles, and a more easier organization of the navigational links would be appreciated. This is one well planned and laid out Da'wah site. What is striking is that the organizers, ICNA have gone to great lengths to provide all possible opportunities for non Muslims to interact, discuss and ask questions. A flash advertisement right on the home page proclaims, "Call 877, Ask a Question, Visit a Local Mosque, Correspond via E Mail." So the organization has provided a toll free number, an email, a page on the site for posting questions and a forum for discussion. What more could one ask for? Plus it has some good Da'wah material in the form of articles. There is also a facility for ordering free literature. All in all, a great Da'wah effort. Best Feature: The multiple facilities given for Non Muslims to interact, discuss and ask questions on Islaam. What it lacks/ What could be added: There is no audio or video content here. In current times there are many people who would rather listen to an audio lecture or see a video than read an article. Besides there is a wealth of such work available from da'ees around the world. Here is a site which has filled a requirement on the net about an aspect of Islaam which has either been left out totally or touched on briefly by other sites. What's more the webmaster has managed to present the material in a very user-friendly and interesting format. Best Feature: The interactive tour map of Muslim Personalities, Major Cities, Institutions, Discoveries etc. What it lacks/ What could be added: What is needed here has already been noted and put on the pipeline by the webmaster as noted above. Best Feature: The large collection of audios and videos. What it lacks/ What could be added: A filtering system to weed out the inauthentic stuff. What it lacks/ What could be added: The e books section could be strengthened and other forms of multimedia content added. Spruce up your Arabic! As the site says: This site has been designed to teach the Arabic language based on one of the most popular courses being used today - the Madinah Book Series by Dr V Abdur Rahim which is used by Madinah University to teach English speaking students the Arabic language. What it lacks/ What could be added: Sound files for the Arabic alphabets, a feature which is provided for he sentences later on but not for the alphabets themselves. Plus the site could develop some interactive multimedia for teaching Arabic. We remember this site earlier proclaiming that it had over 1000 articles. Now that line has been removed but the fact remains that this is the site the largest collection of articles that we have come across and it has many authors on its roll. It also has a good number of audios. However books are conspicuous by their absence on this site. What it lacks/ What could be added: Content other than articles and audios. Here’s a gem on the net for those interested in seeking serious knowledge. There are audios and notes on topics such as Bulugh Al Muram, a study group on Sunan Tirmidhee conducted by brother Abu Khaliyl. The site gives a full rundown of everything that’s going on for the knowledge seeker on their Pal talk sessions with details on each class. There are Arabic Texts of all the major Ahadeeth collections in downloadable Word format) plus software combining many Ahadeeth collections. The site boasts of the first Punjabi Audio translation of the Qur’aan Although the site is low in content of the type usually expected, it makes up for it through its classes. Best feature: Its knowledge disseminating classes and the authenticity of material presented..
What it lacks/ What could be added: Transcripts of past classes and translation of urdu class transcript into English. This site would be best described as an E Library. It has lots (really lots) of downloadable books and all for free. Most are in multiple formats. What's more, this site allows you to do an online search throughout all the books listed at the same time. Best Feature: The largest number of downloadable E books in a single site (among the sites that I know of). These are three interlinked and interrelated sites. The driving force behind them seems to the famous Da'ee Yusuf Estes and so the main focus of the sites is obviously Da'wah. And to this end these sites have very good content. Besides, the articles here speak in a very down to earth manner without any high philosophizing thus carrying appeal for many people. Refer these sites to Non Muslims thinking about Islaam as there is a lot of material which will give truth seekers food for thought. And also recommend to new Muslims studying at a very basic level or to Da'ees who wish to add more tools to their Da'wah bag. What it lacks/ What could be added: Perhaps the home page of islamtomorrow.com needs to be given a less cluttered and more polished appearance in keeping with the times. This is not a website in the true sense but rather a links page and an excellent one at that. That the site owner has spent a lot of time in researching the net for good material is evident from the huge no of links put up here. Also the links lead to content which are among the best on the net. Plus all the links are neatly categorized. Some of the links are dead due to the fact the sites to which the page links no longer exist. Best feature: Excellent collection of links. What it lacks/ What could be added: As a link page it doesn't lack anything besides the possibility of frequent updating and removal of dead links. The site describes itself as a 'Compendium of Muslim Texts' and it's a fitting description. The site is neatly divided into categories and sections and each section is full of relevant information. It has an online Hadeeth and Qur'aan search that was highly valued at the time it was introduced and several other sites linked to it. With the advent of programs enabling installation of Hadeeth books with search programs on PCs this feature has lost some of its former glory. Best Feature: Good collection of texts for a serious study of Islaam. In fact this site gives content of a depth which few other sites do. Important terms are html linked throughout the site to articles or glossary items wherever relevant so that a beginner starting at any page on the site can easily get more information. What it lacks/ What could be added: It lacks and needs to add audios & multimedia and also increase its store of E books. Best feature: An excellent collection of Qur'aanic recitations by various recitors. Be sure to check out the CD quality (128 Kbps) recitation by Muhammad al Minshawi. It's worth downloading. What it lacks/ What could be added: Downloadable E books. Best Feature: The concept and techniques of understanding the Qur'aan in an easy way. What it lacks/ What could be added: It is my du'aa that some Muslim software developers lend their skills to this project to make a good software program which would bring together all the techniques of this site in an attractive multimedia format. The Faith network group of sites is an excellent offering especially considering the fact that it seems to be a single individual's effort. • Imaan.net contains an excellent collection of articles . • Seerah.net reproduces AlHaramain's site ProphetMuhammed.Org since the site has gone offline. Seerah.net includes stories of some other prophets and also of the Sahaba and the Salaf. • alhidaayah.net makes it easy for Muslims across the globe to gain access to some of the best books that have come online but lie scattered over the net. Also a quick scan through the list of book on the site show that the compiler has done a really good job of collecting and presenting books and pamphlets that are among the best that are available on line. • fiveonfriday is an interesting concept wherein 5 interesting tidbits of Islaam are posted every Friday in the form of a quiz The webmaster has not been able to keep up to this schedule and apparently stopped way back in Nov. 2003. But there are a few archives so it's worth a visit. What it lacks/ What could be added: Site has low audio content and no content of other multimedia. The webmaster has promised to put up some more audios soon and we pray that Allaah makes it easy. Best Feature: Topics not usually dealt with by other sites and the online course + tests. What it lacks/ What could be added: E books and multimedia content. Muhammad.net has just what it suggests i.e. information about Prophet Muhammad (pbuh), his life and message. The target audience seems basically to be non-Muslims esp. Christians, although deeper in the site there is some material for those already in Islaam like Ahmed von Denfer's Uloom al Qur'aan. It’s a good place for new comers to start their search for knowledge about Prophet Muhammad (pbuh). Once their appetite is whetted, those who want in depth knowledge should proceed to other sources like the biography The Sealed nectar written by Shaikh Safi ur Rahman Mubarakpuri available on line on several sites. The site also has some good general material on Islaam and the Qur'aan and some audio files of Qur'aanic recitation. Best Feature: A full site dedicated to Prophet Muhammad (pbuh). What it lacks/ What could be added: Detailed works on the biography of Prophet Muhammad (pbuh). The Gospel of Barnabas was accepted as a Canonical Gospel in the Churches of Alexandria till 325 C.E. In 325 C.E., the Nicene Council was held, where it was ordered that all original Gospels in Hebrew script should be destroyed. An Edict was issued that any one in possession of these Gospels will be put to death. The article, How the Gospel Survived, gives a brief narrative on the text's survival. Best Feature: The Gospel of Barnabas itself and its downloadable Word version. What it lacks/ What could be added: The content is in keeping with the name of the site especially as the site belongs to a group of sites where each site is dedicated to a specific topic. The site describes itself as a 'Research tool to facilitate the task of muslims and non-muslims seeking knowledge about Islam, muslims, the Quran and the Sunnah.' and it fits the bill well. It has lots of links to useful sites and articles on the net. Also it lays down some good guide lines for screening new sites to determine whether they are worth visiting or not. It has some original content on it like the audio file of the du'aas in Hisn ul Muslim. Best Feature: It facilitates the task of newbie Muslim surfers and has an audio version of the du'aas in Hisn ul Muslim for download. What it lacks/ What could be added: As a research tool the site needs to put up more original content along with the praiseworthy work of linking to other sites. For those non Arabs wanting to learn or improve their Tajweed here's a very good resource. It explains in systematic detail the rules and application of The Tajweed rules for Hafs 'An 'Aasim, the recitation which is the most widely used one. There is also a facility for clearing doubts by sending emails and all the past queries are posted on the site so that others can benefit from them. What it lacks/ What could be added: The site presents only text material. Adding audio lessons and interactive content in Flash etc would definitely benefit users. This has become a useful site, because of good quality translations of the Qur'aan in many languages, good quality recitations in the voice of four recitors, live feed and the option to download in MP3 and Real media format. It also has a small searchable fatwa database. The webmaster has combined all these in an easily navigable website thereby increasing its attraction. Best Feature: The recitations available for download and the translations. What it lacks/ What needs to be added: Downloadable versions of the translations in languages other than English as these good translations are currently unavailable for download anywhere in cyberspace. Also some material on the history of compilation, miracles, authenticity of the Qur'aan would be apt. 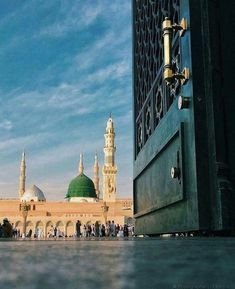 The aim of this is presented as: ‘not merely to defend the Prophet (peace be upon him) but, more importantly, to present to humanity his message, his character, and evidences for the truthfulness of his Prophethood. This committee is also active in trying to stop acts offensive to Islam and the Prophet. All in all a commendable effort and website. What it lacks/ What could be added: A more attractive site design would help to attract he attention of non-Muslims also. Best Feature: The Fatwa section as very few sites are able to accept questions nowadays and the Showcases. Best Feature: Da'wah site oriented to the Western mind. What it lacks/ What could be added: Audio/ video Da'wah lectures would be a welcome addition. Best Feature: A site dedicated to the Sahaba and the excellent use of Flash to create a website and E book with a unique look. Also the site invites user participation by submitting stories and a forum. What it lacks/ What could be added: Fits its name well but has a possibility of adding some classical and in depth works on the status of Sahaaba and importance of following their methodology etc. Need to look up something in Tafseer Ibn Katheer? Go to tafsir.com. The whole book has been put up here. But there is a problem with the site navigation. You can only view it piecemeal and really small pieces at that. At times clicking a link produces nothing more than a title. At others it gives a small paragraph. Admittedly the paragraphs are complete sections on a particular ayah; however it causes a lot of frustration to dial-up users (I am one of them) when they have to open up an entire new page to view small bits of info. Also the site does not lend itself to mirroring by programs like HTTRACK or Offline Downloader which would enable one to download the entire site on the hard disk and use it offline. Best Feature: The book itself. What it lacks/ What could be added: User friendliness, Possibility of mirroring and going by the name of the site, it should have material on Usool at Tafseer and also include tafseer by other scholars. Best feature: As far as I know this was the first site to put up the entire book on Salaah of Shaikh Albanee on-line and its still there. Other sites too have followed suit. What it lacks/ What could be added: Quantity. And it is hoped that they do so soon because they seem have a knack for selecting good stuff. This is a very good site for getting a quick overview of Islaam. Muslims just starting to read up on their deen will find the format attractive as the articles are arranged according to very specific topics i.e. beard, rings, sneezing etc. The site is very easy to navigate but dial up connection users will find the pages comparatively slow in opening due to the applets which make each page transition different. What it lacks/ What could be added: No downloadable E books, no lectures. Also it needs more in-depth material on many topics. Best feature: High on article content and authentic literature and an excellent site for new Muslims; not to forget the quiz! What it lacks/ what could be added: Site is not very user friendly and some of the colours can hurt the eyes. Improving the presentation of the site will attract more visitors and thus benefit more people. Best Feature: A solid 31 Lectures of Dr. Zakir Naik and the articles. What it lacks/ What could be added: It has only 4 E books and lectures of only two speakers. Muslim programmers worldwide need to put their skills to meeting this modern need of the community so that children can spend more 'fun' time learning Arabic and their deen on computers which occupy a large portion of their time anyway. This site has taken a big step in this direction but a lot remains to be done. What it lacks/ What could be added: More such and better learning aids not only from this site but Muslim programmers and creative artists worldwide. This site goes a long way in fulfilling a prime need for Internet using Muslims i.e. a good site dedicated primarily to the Muslim Woman. What is more gratifying is that this site does not lose sight of the basic Islaamic teachings while presenting material focusing on the Muslim Woman. Also it has none of the feminist ideas that seem to be gaining ground among many Muslim women nowadays. There is also a special section for kids, which is also important as one of the main roles of the woman in Islaam is to raise children on sound Islaamic values so that they can be efficient units of this Ummah. Best Feature: A good site dedicated for the Muslim Woman. What it lacks/ What could be added: To fulfill the responsibilities of its name the site needs addition of content on many other issues. Also the kids section needs to be improved quality wise. What it lacks/ What could be added: Although the apparent aim of the site maintainers (presenting the book on the net) is admirably accomplished it seems a waste to keep a website with such a good name for just this purpose. They would do well to add more such Dawah and comparative material. Best feature: Their E books and a well designed modern looking site. Best Feature: A site dedicated to refutation of Shia distortions. What it lacks/ What needs to be added: This is only a bare bones site so there is a lot of flesh that could be added. Also the site seems to have been neglected for a long time. Run by Muslims in the Luton area of UK, lutonmuslims.co.uk has a lot of good content, and some good Halaqaat going on.. Its selection of articles encompasses many aspects of a Muslim’s life from the fundamentals to purity of oneself. Some of these articles are not on any other site which is a plus. The site also draws attention to the Muslims being help captive mainly in UK without charge or trial and is active in trying to ease their plight. It also invites other Muslims to participate even if only by writing a letter to the detainees. The events page mainly deals with events in the local area of Luton and London..
Best feature: The Campaign for Justice, well written articles and the notes from lessons conducted in their Halaqaat. As the name indicates this site is primarily a site containing resources for the study of the Noble Qur'aan. It includes the complete translation by Dr. Muhammad Muhsin Khan & T. Hilali. What it lacks/ What could be added: Going by its name it should have some Qur’aan software and audios to download which it doesn’t. The site maintainers would do well to add some material on the history of compilation of the Qur'aan, introduction to Usool at tafseer, proofs of authenticity etc. What it lacks/ What could be added: Material from other scholars, E books, articles. Note: At the time of revising the reviews this site is no longer available. We hope it makes a comeback though. This is a good site which can become better with the addition of more material. The quality of the existing content, however, makes this site worth visiting. Do visit this site a it contains some good E books and articles not found elsewhere. What it lacks/ What could be added: Quantity. Many of the sections have Zero content. Best Feature: Nothing outstanding but they have a good start to building a top class site. What it lacks/ What could be added: More and better quality content would boost the ratings of this site. This is the website of the famous Indian Da'ee Dr.Zakir Naik. Those who haven't heard about him are missing out a lot on the Dawah scene and should rush to this site immediately. Although the site itself does not host any of his Audio or Video Lectures it links to a site that has them. Download and enjoy seeing Dr. Zakir convincingly prove with innumerable quotations from the Bible, Vedas & other religions that Tawheed is clearly mentioned in the earlier scriptures, that too all from memory!!! (The man must be having a chip installed somewhere in his head). Also his spontaneous and convincing replies to sticky Dawah questions raised by non Muslims during the QA session which invariably follows each of his lectures and debates are a treat to watch. The site has his books and some transcribed lectures/debates. It also has an online Dawah Training course. Best Feature: Online Dawah Training course & the Da'wah efforts of Dr. Zakir Naik. What it lacks/ What could be added: Content wise it does not have much to offer, because the intent of the site seems to be to inform people about the activities of Dr. Zakir and the IRF. Also it could do with some regular updates. The last one seems to have been in 2004. Although I can't comment on the quality of the actual programs of Islam Channel (I can't access the channel and don't have a broadband connection to view online) what I do feel is that there is a crying need for more such channels in the face of the current deluge of biased, misleading & negative misinformation on the international media scene. This effort needs to be supported by all Muslims, and not limited to only the few channels that are currently available world wide. Best Feature: The effort to maintain an 'Islamic-focused satellite channel' and the facility to view the channels programs live on-line. What it lacks/ What could be added: The website would do well to put up some original content and an archive of past fataawa. Also it would be useful if they could add some downloadable video files of past good programs beamed on the channel. Here’s a nice colorful site with a clean design. It has a good collection of articles and many of them are original and hence refreshing. However the site has a long way to go before it achieves its claim of being ‘The biggest site for Quran, Hadeeth and Atkar’. The site has potential for further growth especially in areas other than articles. A commendable effort by a group of volunteers. As they say: Fortification of the Muslim (Hisnul Muslim) is perhaps the most popular du'a book currently in print. This site is an electronic rendition of the "little du'a book". That’s what he site is. As this book is available as a Word and PDF download elsewhere on the net, this site would not have been of much use. However it has a alphabetical index by which you can search topics and jump straight to the required du'aa. What it lacks/ What could be added: The site could be developed into a resource centre on Du’aa in general with articles on the etiquettes of du’aas, times when they are accepted etc. Here's a community site for Australian Muslims with good articles and audios. Apart from the articles, this site is relevant mostly for Australian Muslims. Best feature: A site catering to the Australian Muslim Community. These are three partner sites and are centered around the Da'wah efforts of Shabbir Ally..
What it lacks/ What could be added: Although the sites have a clean layout, the pages are understated which is a drawback on a Da'wah oriented site. Also more content would build on the usefulness of this site. Closely resembling www.understandquran.com is emuslim.com. Here too the main focus is on getting a better understanding the Qur'aan by means of the shortlist of words, dictionaries in various languages etc. It has some other articles too. What it lacks/ What could be added: A good effort here which can be bettered by material on other aspects of the Qur'aan and Islaam. Refutations of Christian missionaries attacking Islaam and debates with Christians are the core of this site. Although the site is more relevant to those who stay in the area of the webmaster, it is nevertheless interesting enough for others to visit too. Best Feature: Refutations of Christian attacks on Islaam. What it lacks/ What could be added: Da'wah material of other scholars from around the globe. Head here for the website of the Ministry of Islamic Affairs, Endowments, Da‘wah and Guidance, Kingdom of Saudi Arabia. All in all it is a good start but it needs a lot more stuff to push it up the charts as till the time of reviewing it had only articles and some Qur'aanic recitations. It also has a good section devoted to Ahkam of Tajweed. Best Feature: A good section on Ahkam ut Tajweed. What it lacks/ What could be added: Content other than articles. What it lacks/ What could be added: Many of the quotes are unknown. Besides there is a lot that could be added Islaamically speaking and going by the name of the site but the site apparently is not aiming for any of those. What it lacks/ What could be added: More content added to each topic would add to the appeal of this small offering to the average Muslim surfer. Best Feature: A site and project dedicated for new Muslims. What it lacks/ What could be added: More resources to make this a really good site for new Muslims. What it lacks/ What could be added: Although basically meant for reflecting the activities of the III&E the webmaster should think of utilizing this valuable resource (the site) to put up more content to benefit all Muslims. What it lacks/ What needs to be added: Needs input all round of better quality material. What it lacks/ What needs to be added: As the site is under renovation it is best to watch and wait. 1. An audio of the English Translation of the Qur'aan (Muhsin Khan and Hilali) along with the Arabic recitation by Shaikh Mishary ayah by ayah. Parts of it are already up on the site for free downloading. As far as we know this is the only site offering the audio version of the Muhsin Khan and Hilali translation. What it lacks/ What could be added: More material should be added to the Aqeedah section which has negligible content right now. Allah gave you a gift of 86,400 seconds today. Have you used one to say "Thank You?"